Wine growers and distillers for more than 150 years, the ancestors of Paul, Pierre, and Bernard Boutinet led the vineyard on this ground of Fins Bois considered as giving brandy of very high quality from which the ageing allows to obtain soft Cognac and perfumed. 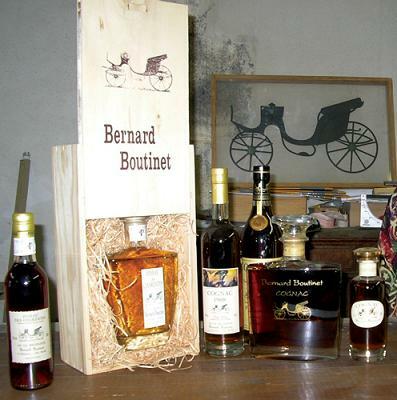 Under the emblem of the carriage, Bernard proposes you the tasting of different cognac among which some are very original and unusual. 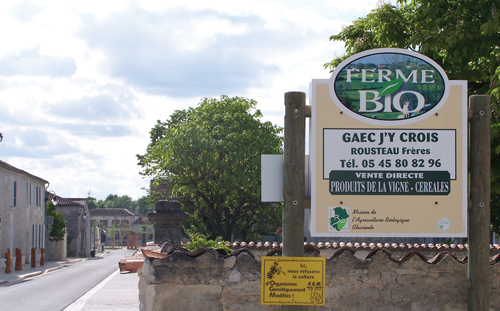 Products of the organic farming : Pineau, Cognac, grape juice, grape sparkling wine, red wine. Dried vegetables, flour, sunflower oil. Pascal and Jean-Marie Rousteau welcome you in the farm on saturdays mornings or by appointment.